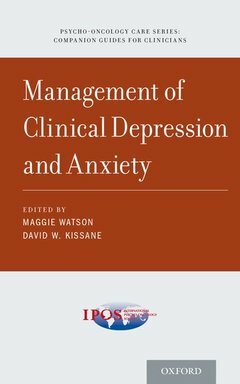 Management of Clinical Depression and Anxiety provides a brief set of clinical guidelines for handling clinical depression and anxiety in cancer patients. Using a practical toolkit format, this volume covers a variety of topics including: assessment methods, treatment methods, psychiatric emergencies and disorders, policies, service and ethical issues, confidentiality, and communication issues. Self-assessment quizzes round out each chapter, and the volume concludes with an appendix of patient screening tools. Part of the Psycho-oncology Care: Companion Guides for Clinicians series, this highly readable, concise pocket guide is an ideal resource for oncology clinicians and mental health professionals training in psycho-oncology to use as a quick reference in everyday practice.